RSPCA Cymru is appealing for information after four peafowls and a pheasant were dumped in boxes in a Deeside garden. 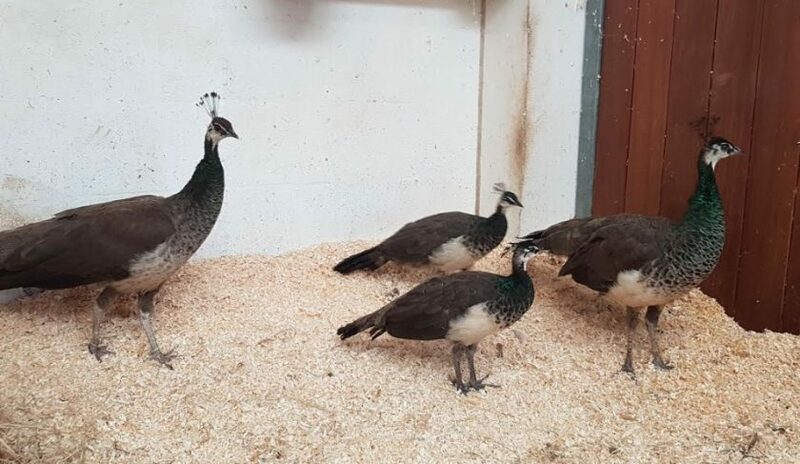 The birds – two adult peafowls and two juveniles along with a young pheasant chick – were found in a garden on Clwyd Street in Shotton on Tuesday 14 August. RSPCA inspector Tim Jones said: “The caller had no idea where the birds had come from and had asked around to see if anyone knew of an owner. “It is very sad that they have appeared to be abandoned, however, they are now in RSPCA care and have been transferred to a centre.